Do you want to install a window in your android device? Then, here is the guide about how to do it by using a windows emulator. 1 Do you want to install a window in your android device? Then, here is the guide about how to do it by using a windows emulator. 1.1 What basically is a Windows emulator? 1.2 How to use limbo PC emulator? What basically is a Windows emulator? Windows emulator for android is a software or a program for android. It is used to Run the Windows operating system in an Android device or simply we can say to run windows on android. Hence, you can access all the features of a window like Windows XP, Windows 7, windows 8 etc in your Android device. You will be requiring a Windows img file in your SD card or internal memory. You can download any Windows img file that you want to install in your Android device from Google. So, it is very easy to use any window in Android by using Windows emulator. 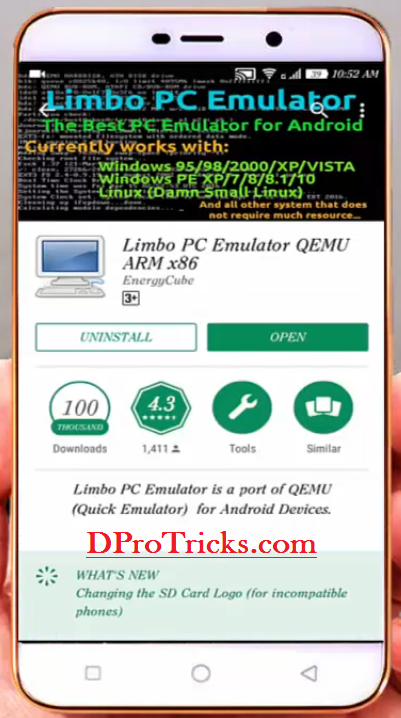 In this procedure, we will use a Windows emulator called Limbo and is also know for android emulator x86. It is one of the best available free Windows emulator for Android that one can use. It provides almost all the basic and important features. Limbo allows you to use any Windows operating system in your Android device very easily. 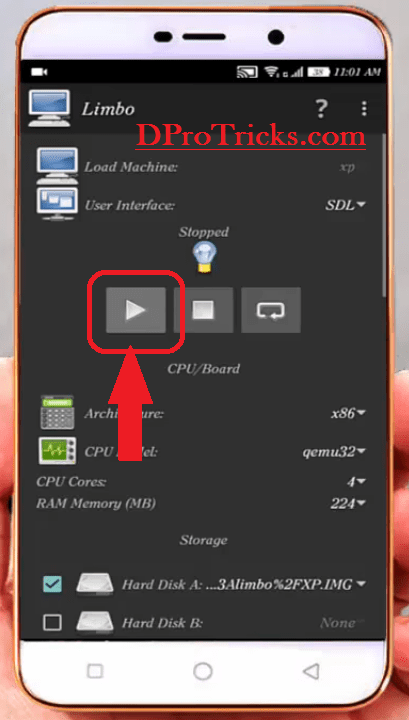 So, without wasting any more time let’s move on to the procedure about how we can use a Windows emulator to run Windows operating system in an Android device. How to use limbo PC emulator? Follow all the steps given below to wine android or simply to use the Windows 8.1 , 7, XP in your phone. First of all, you will need to download an application called Limbo PC emulator (Download link at the end of the procedure).Then, download and install the application. Now, you will have to download a Windows img file, which you want to install in your device ( Windows img files download link at the end of the procedure ). Then, go to your SD card or internal memory where you have installed the Limbo implication. And search for the folder called Limbo and place the Windows img file in this folder. Then, under the Advanced options, check mark the Fullscreen option and let the rest as it is. Finally click on the Play icon to run the windows. Congrats! You have successfully installed a windows operating system or simply a windows in your Android device by using a Windows emulator. So, on this limbo pc emulator windows 7 can also be easily run. Also in this limbo pc emulator windows xp is the best option one can have and one can use it for. From the download file given at the end of the article, there is xp.img file download for android which is actually windows xp for android download (also known by windows xp c img file) And other windows img file for android. If you are facing any problem regarding this, write down below in the comment section and I will help you with it. I did all the things and I downloaded win8.1_ x86.ISO file. but after all the steps, it says “your pc needs to restart “and an error code. I restarted my phone. But it didn’t work. Pls reply me. Rafeeq sir! The architecture variable i.e (x86 here in this) should be same as that of the img file downloaded. Moreover sometime it stops working because of low specifications of the device upon which you are running the img file. Try to to step down the variable to meet your device specs more accurately. ( decrease the vale of ram and cpu core) then try again. If still if couldn’t work, download some other img file. It will work. I have given a new link to download the img file in the Users’s Requests page of my blog. Check it there. Can you run Windows programs in this emulator? Yes, of course, you can run windows programs through emulator. Moreover you can also connect a mouse and keyboard to your phone through usb otg cable and can make use of them also. 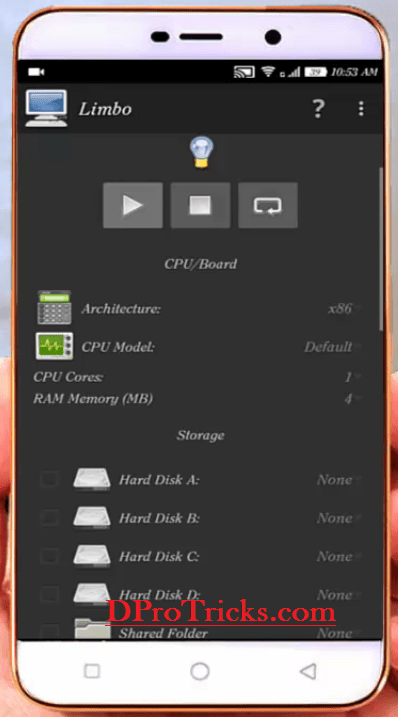 And ya another important thing is that, your phone should have a good ram, at least 2 gb for smooth functioning of programs in windows emulator. The performance depends upon the specs of you phone. Hey man I have some questions about this fantastic method: may I chose how much memory of the hard disk (microSD) I want donate to my system? When I will install Windows, will be it permanent? Thanks. As far as running windows in your android device is concerned, you don’t need to play with the sdcard. The only thing which will be required is a space where you gonna store the windows img file. And that space is the installation location of the Limbo app. Now that depends upon you whether you have installed it completely on sdcard or in internal memory (Default) of your device. Second thing is your Device/Phone’s Ram which you gonna utilize while running windows. Set the ram variable according to the Ram of your device. ( You can check your average available free ram by going to your phone Settings>Apps>Running Apps And down at the bottom, you would be able to see the Ram used and the ram which is free and a part of the free ram you can use to run the windows. For your second question: making it simple, Running Windows in phone by this method is just like you are running a simple app. When you are done, just minimize it or simply, you can exit from it. It is not at all a permanent thing. So, don’t worry about that. You can always exit or minimize the windows. Moreover the ram that you set in the limbo will be utilizing only till you are running windows. Can you advise minimum settings please as my phone is 2014? I am scared to break my phone? can you try an old phone to make sure it is safe? Will this break android, or just the app will stop running? This won’t effect your phone neither it’s gonna brick your phone. Bricking of phone often occurs because of improper rom installation, wrong rom installation, wrong playing with phone’s firmware, wrong flashing of phone etc. The worst that can happen with you is that you can get some lags during the running of the windows. This will work but maybe there would be some lagging issue which depends upon how much free ram available in your device and also the internal disk storage. Because of the installation of so many apps, even high specs devices can also lag. This happens because the main platform for your phone is android or ios, not windows. But yeah you can easily give it a try. 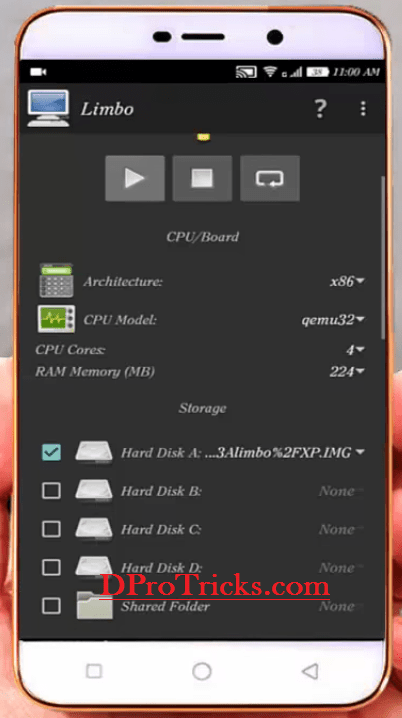 Set ram to the minimum and qemu processor to the minimum value in the Limbo app. I have downloaded the Limbo PC emulator and windows img files . but i could not find them during Hard disc A selection. i have downloaded throu PC and move the files to my phone. You will find them easily, but be sure that you have moved them to the right folder, the folder must be the one where limbo app is installed. the folder should be having in its name “Limbo”. move there as shown in the procedure and it will be appearing. Surely, this will work 🙂 Keep visiting for more such tricks 🙂 and do share. I troubleshooted the stuff in here.. Cores should be only 1 but the RAM doesn’t matter, i dont have a keyboard on my phone to click the “Start Windows Normally” then i couldn’t open it… I guess that this works well, just going to download another Windows XP IMG file. I’ve done all the steps and it works good .. Thanks for your comment Balaji. Ok, I will create a windows 7 img file soon and will send you a link to download it (on your email). Even you can do it manually too, if you have a windows cd and a pc then you can easily create an iso file and img fille of that windows. There are many free softwares availabe for pc to do this job. I will get you one soon. Hello Abrar? Was asking if the windows file required by limbo is exactly the same as the one you install on a normal pc. No, the file is not same. Only windows file with .img extension works in Limbo emulator. Generally, you would be getting an .iso extension file for installing a windows in pc. However, the same file can easily be converted into a .img extension file. I have provided direct links to download .img files of windows vista and windows xp down at the end of the procedure. However, if you have a pc, there are so many free softwares available which can convert windows files into any format like .iso ,,, .img etc. so If you have a windows cd and a pc, you can create any windows .img file within minutes and then can use it in limbo. You don’t need to install .exe in limbo. .exe is a software setup extension which is only for pc. Whereas limo is an android app with its setup with .apk extension. For you problem, I think you are trying to run windows.exe file in limbo, which is not going to run at all. Limbo only accepts a windows file with .img extension. I have given the direct windows.img download links at the end of the procedure. You can directly download any one of them and can use them in limbo, surely, it is gonna work for you. If you still face any problem or have any other problem, feel free to ask me. And also i need to run win 10 can you give me the link to download. Your phone is quite enough to run any windows using Limbo. 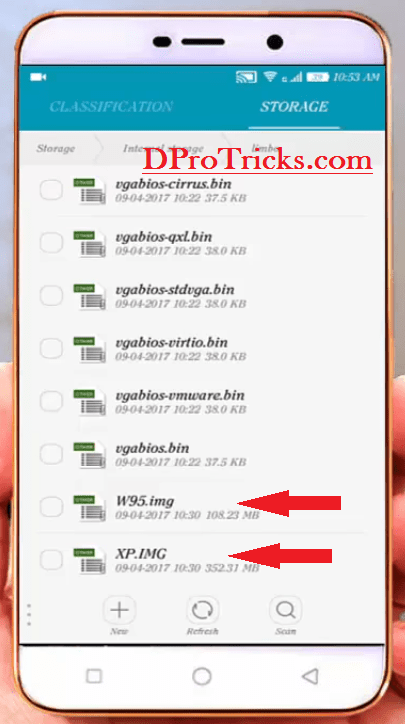 You can use the basic settings as I have shown in the article and if you want to increase them you can increase them to the max, it is not going to harm your phone in any way. However, I currently don’t have a windows 10 img file, will create it soon as the demand is increasing and will send you a link at your email to download it. However, you can download windows XP from the link given at the end of article. Thank you for your quick reply do u have link for win 7 pro? I have a USB to LAN adapter. Can I use id so that windows can connect to network LAN directly? Ya probably, it would be working fine if you have a proper demodulator or you can call it the modem in between. However you can try it without that also. Hi Abrar, thank you for this helpful information.. will you please tell me where can I find win7 ultimate.Img. I have an S6 galaxy edge+ you think win7 ultimate will work on it… thank you once again..
You can search that on torrent,,, hopefully you will get it there. However, I will also be providing that within days. And ya, that can work on your device withe the configuration I have shown in the post. Thank you Abrar for your quick response. Happy to hear from you always.. This only accepts a windows with .img extension. Check yours. If it is windows.img and still not working then it could possibly be happening because of low specs of device. You can even try windowsXP.img which I have given link to download. Many a times, the file could also be corrupted which someone downloads. I want to ask you that i can run this windows img on my android on my Samsung J2 Sm00GF ??????????????????? CAn You Tell ME ??? Yes, you can run this on any android device using Limbo application as I have shown in the post. Check whether you have placed the file at the right place. After that do check the variables are same as I have shown. And then run again. If still it is not working, possibly, there would be some error during the conversion or the original file of the windows. After the installation of window on Android phone, what type of apps will I need to run. It is android apk apps or window exe apps will I be able to run on it? You will be able to run windows apps. No, rooting is good for phone. Only voids warranty. No need to unroot or reset, copy the windows file somewhere else and uninstall the app and get a new one from play store. Moreover, there are two versions of this app. Try both of them. It will work fine. Try to re-place the file file to the correct destination,,, if still it couldn’t work,, try to get the latest limbo app from the play store. There are two different versions available there. Will work definitely. How would I “install” a program to the windows using this set up? I have a favorite Bible program that I would love to be able to use on my tablet and am wondering if I would have to reinstall each time or would I be able to install and leave. Whereas installing external programs are concerned, i didn’t try to install any external software. So, you should go through it yourself and it won’t take much time to do that. If it gets installed, you won’t need to re-install it over and over again. I have not created an img file for windows 10 neither any phone will much be able to run it. That will be too lagging if you try so. Download links are given at the end of the procedure. You can download from there. I have given the download link for windows img file at the end of the procedure. You can download it from there. I followed all your instructions.. So very thankful to you..
My question is, how can i install a program at windows xp at my android. Xp is running good but i can’t install my waypoint for windows program. Thanks in advance. I cannot say about installing the external additional programs but ya if your device supports OTG then you can use pendrive and you can switch to Android OS any time,, in fact, you are actually using windows os through the emulator which is an android software here. So, don’t worry at all. You can use any of it whenever you desire. Can it be loaded and run at any cloud drive, if you can kindly advise. The purpose is to run a window-xp based application in my android. Hello Yash,you can run only windows pre installed games because for heavy games,a pc is must. Hello Baba, you can easily get that by searching in google. it depends upon whether the file is compressed or not. generally, it will be between 1-2 gb. try to switch you image file. It will be ok with change in configurations.